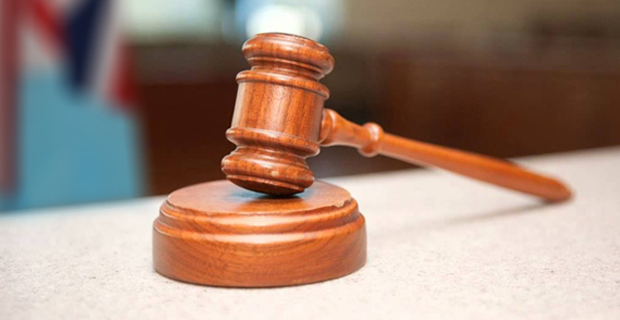 A man who assaulted his defacto partner with a hammer has been given a suspended sentence by Suva High Court Judge Justice Chamath Morais. He pleaded guilty to assault with the intent to cause grievous bodily harm. The incident happened on 8th April this year at their home at Grantham Road. It was heard in court that the couple had an argument over a photo on Facebook which had the victim pictured with one of her cousins. In his sentence, Justice Morais said the man hit the woman’s back and hand with a hammer and also used an opened can of corned beef to assault the victim. Justice Morais said the woman was unconscious after the incident and also had multiple bruises. The Judge also noted that the man was remorseful, pleaded guilty early and cooperated with Police. He has been sentenced to 11 months imprisonment that has been suspended for 5 years. A domestic violence restraining order has also been issued to protect the victim.